Asternic Call Center Stats is a queue reporting solution to get the best breed and metrics available for the open source Asterisk© PBX. If you have a Yeastar S series PBX embedded machine for your telephony solution, you can still use Asternic Call Center Stats to have good reporting on your queue activity. The only catch is that you must install Asternic on a separate Linux server as the little box does not have a robust and large enough permanent storage for the data. So, first of all, you must have a Linux box ready with Apache, PHP and MySQL installed. You can use a virtual machine with at least 512Mb of RAM for that purpose. That should be enough for small/medium size call centers. If you have a large call center and have thousands of calls per day, then you need at least 2 GB or RAM. In this guide, Linux server (Centos) has the IP address 192.168.9.69 and the Yeastar S PBX has the IP address 192.168.9.67. Asternic Call Center Stats PRO is a PHP application, encoded with ioncube. There are certain requirements to be met in order to successfully run the software. It also has a log processing daemon that is written in Perl, and requires the Perl-Time-HiRes module to be installed. The log processing daemon should run on the background at all times, and it will feed any data that is written into the Asterisk queue log files in its own database. We can install Apache easily using CentOS's package manager, yum. A package manager allows us to install most software pain-free from a repository maintained by CentOS. Since we are using a sudo command, these operations get executed with root privileges. It will ask you for your regular user's password to verify your intentions. For the rest of the questions, you should simply hit the "ENTER" key through each prompt to accept the default values. This will remove some sample users and databases, disable remote root logins, and load these new rules so that MySQL immediately respects the changes we have made. Finally, please double check if you can found this info with ionCube PHP loader (enabled), if not, you will need to install it. If you use Centos7, it’s installed when PHP is installed. This is very important for Asternic. Follow the steps below for an installation. Basically download, extract and run "make". Please ensure your CentOS server has network connection, otherwise you cannot download via wget command. Alternatively, you may download ‘asternic-stats-pro-2.2.2.tgz’ via link http://www.asternic.net/download.php and then upload to Linus server via SFTP tool under path /usr/src. You must know beforehand the MySQL root password in order for the installation to succeed. The database and tables need to be created, and you must enter that password when prompted. Otherwise, installation will be partial and not working. Check if the database qstats exists, if so, it will abort and exit. Since Centos has a little issue about the privilege, we need to disable selinux. Save it and reboot the system to take effect. Login web interface of Yeastar S PBX, enable SSH and AMI, you can set the user name and password as your wish, it’s used for AMI connection. You need to input Linux server’s IP or IP range to permitted list like this. When done, save it and apply changes on web. Login PBX through SSH using default port 8022. Save it then do apply changes on web to make it take effective. dropbearkey -y -f /ysdisk/support/tmp/.ssh/id_rsa | grep "^ssh-rsa"
You will have to copy the output and then paste it inside the file /root/.ssh/authorized_keys on your Linux server. So be sure to open that file in the Linux server and paste the contents produced by the above command into it. That should connect you to the Linux box with no password prompts. If that is ok be sure to close that session by typing "exit" to return to the Yeastar CLI. As for the error inside the screen shot, just ignore that. 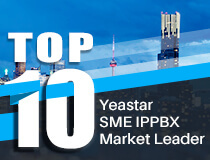 Finally, you will have to reboot the Yeastar S PBX for all the changes to take effect. When done, the queue_log will be synced to linux server every 60 seconds. In order for Asternic real-time view to work, we have enable the AMI and allow the Linux server IP to access. Then we need to edit config.php and set the correct manager_user, manager_secret and manager_host. You can apply for trial license for 30 days. Then you can login using default username and password. If there is incoming call arrived, under Agent Status section, State status will change from Not in use (refer to Figure 1) to Ringing (refer to Figure 2) and then Busy (refer to Figure 3).